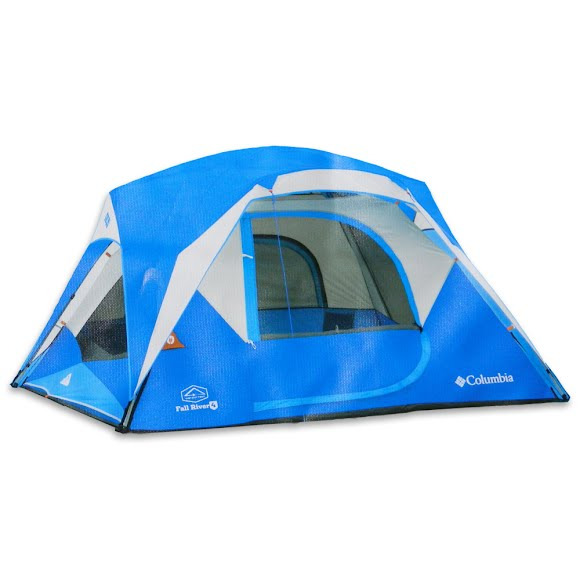 The Columbia Fall River 4 Instant Dome Tent features two adjustable ground vents that draw cool air from the ground to keep you comfortable all season. This 4 person capacity tent allows for nearly instantaneous setup with its clever design. The innovative utility port provides simple and completely sealed power chord access. Omni-Shield delivers protection from the outdoors where you least expect it but need it most. This coated fabric resists all liquids below 170°F from absorbing into the yarns and staining the garment (without any effect on the feel of the material). The fabric itself will also dry 3-5 times faster than untreated fabric, without holding moisture like a conventional fabric, meaning it stays lighter even when it&apos;s wet. Area 9' x 7' x 72"